An ever-evolving attempt to capture what it feels like to work and play at Frog’s Leap. Healthy winter mustard does double duty, offering a showy and oft-photographed spectacle in the early spring months, before being tilled into the soil to add back organic matter and improve soil health. before guests arrive for Frogtoberfest. 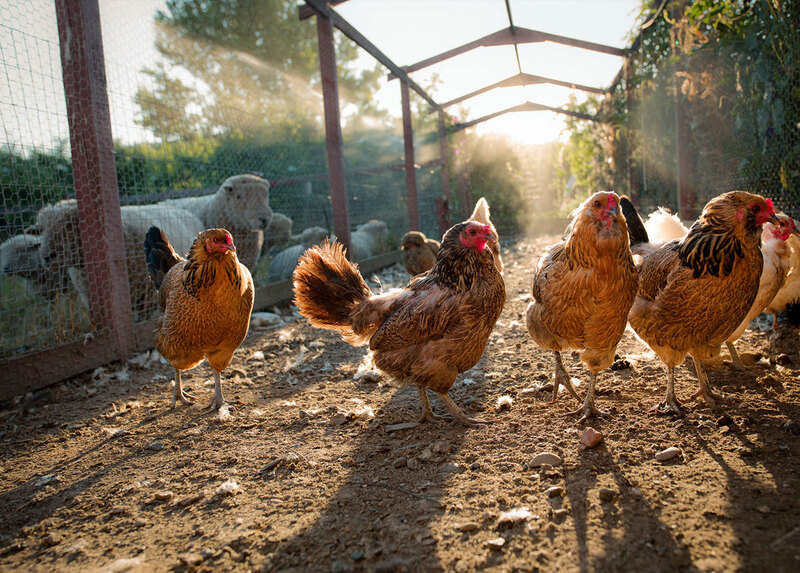 The flock seems unfazed by visiting sheep. 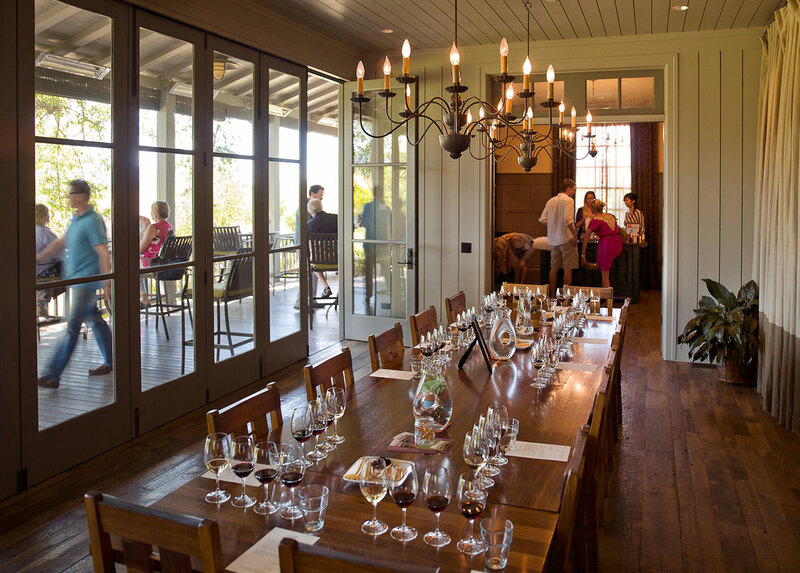 Tour guests start their tasting at The Whit Table, named for furniture maker Whit McLeod, who fashioned the table and chairs out of old tank and barrel wood. We named that pig Carnitas. 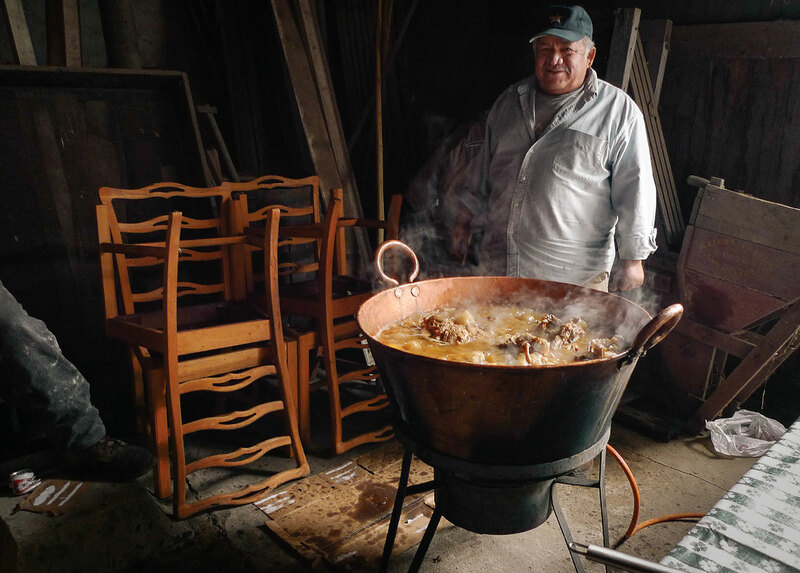 Fredy’s friend Ernesto brought the cooking pot and the back of the barn was a popular hangout for the next two days. The whole hog is now a harvest tradition. 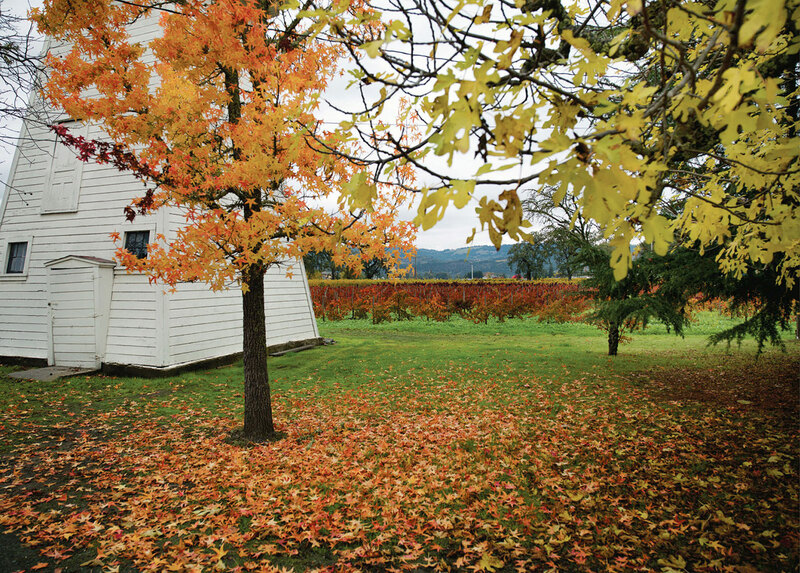 Fall leaves are a vibrant contrast to the lush green carpet of cover crop spurred on by early rain. 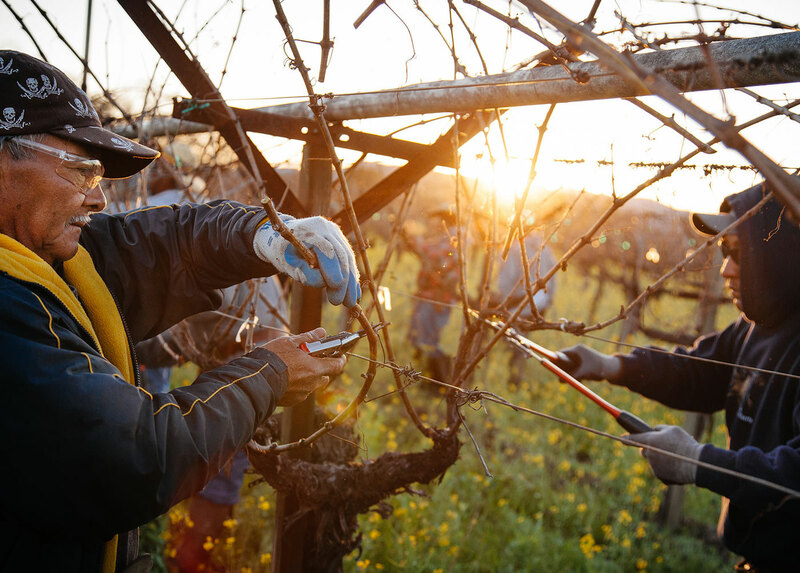 Cane pruning is a specific technique that allows a skilled viticulturist to judge each vine individually and make a decision about how many clusters can be ripened in the coming season. Francisco and Eufemio have more than 45 years experience between them, and this accumulated knowledge is passed on to younger members of the team, forming a solid foundation for quality of our vineyards and our wines. 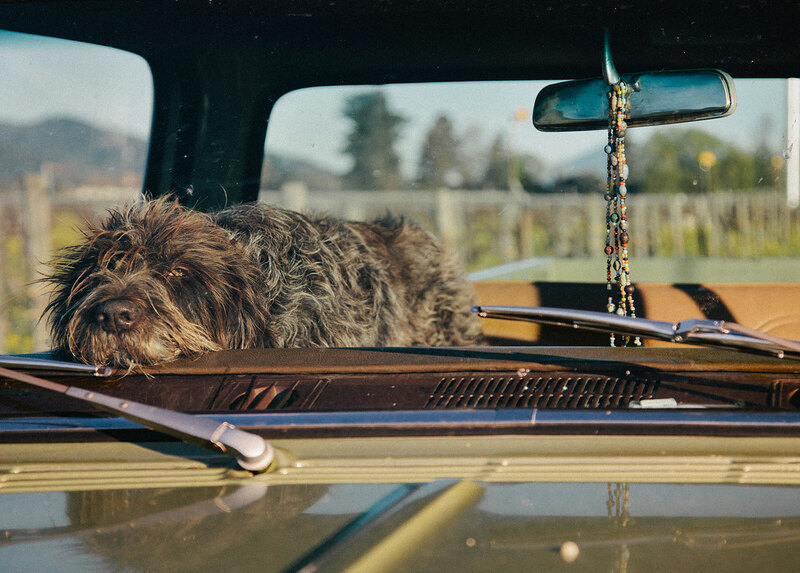 Abbie rests for a moment after a long day of herding guests and chasing rabbits—all part of a day’s work for the beloved family Griffon. 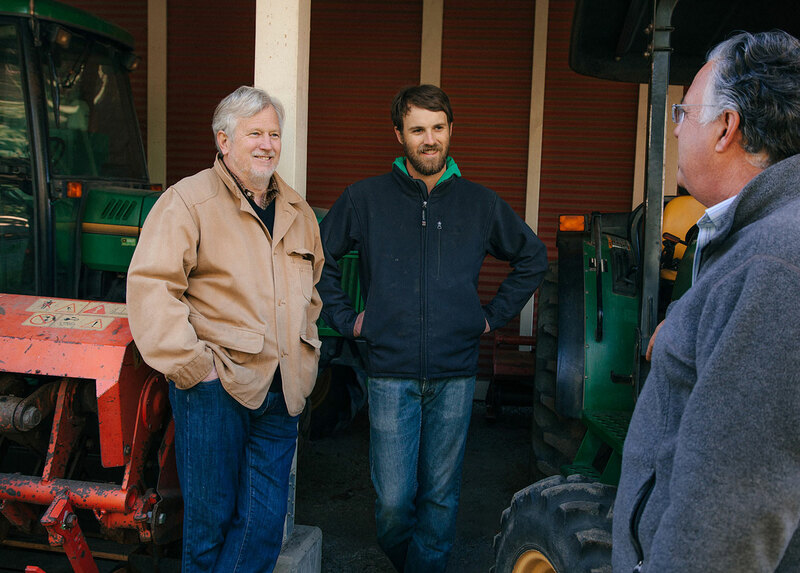 Rory Williams (pictured center) joined the viticulture team in 2013, working with longtime V.P. of Vineyard Operations Frank Leeds. 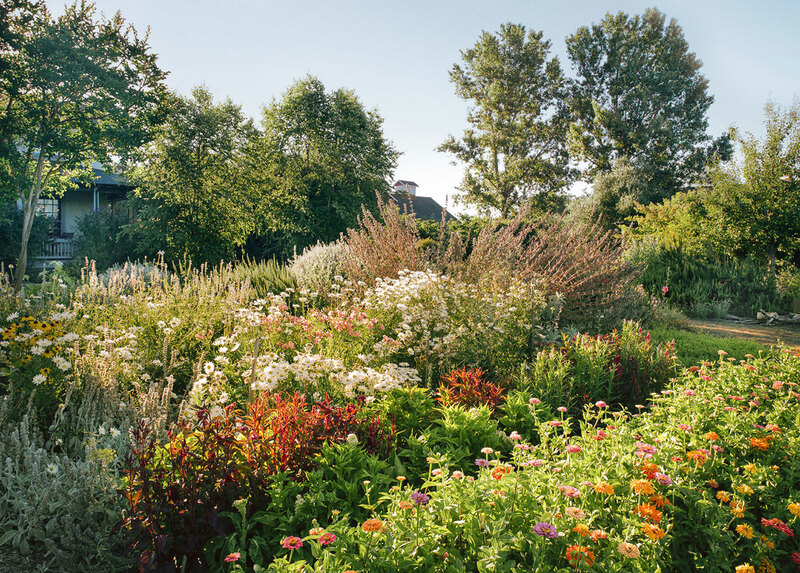 Colorful native hedgerows and summer flower beds serve double duty as both scenery and habitat. 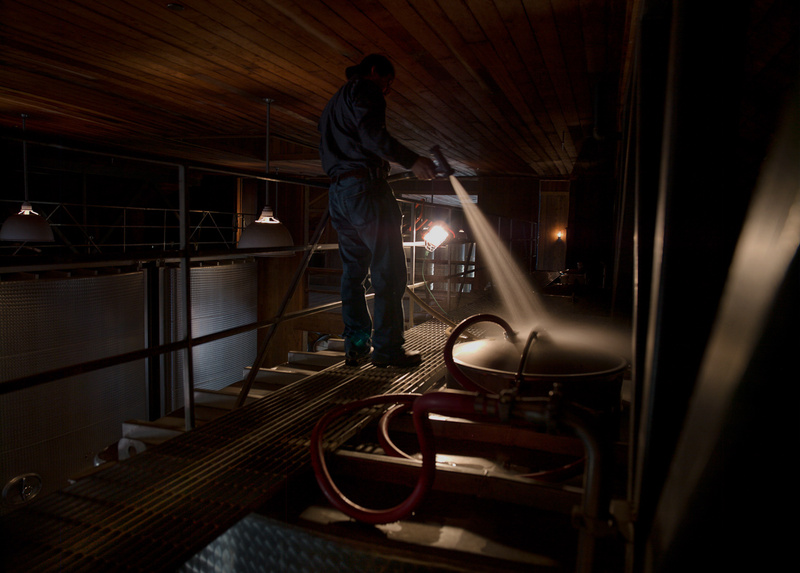 Equipment, in this case the de-stemmer, is checked and rechecked in advance of harvest to insure smooth operation when the first grapes arrive. Tank pump overs take place at regular intervals until the fermentation process is completed. 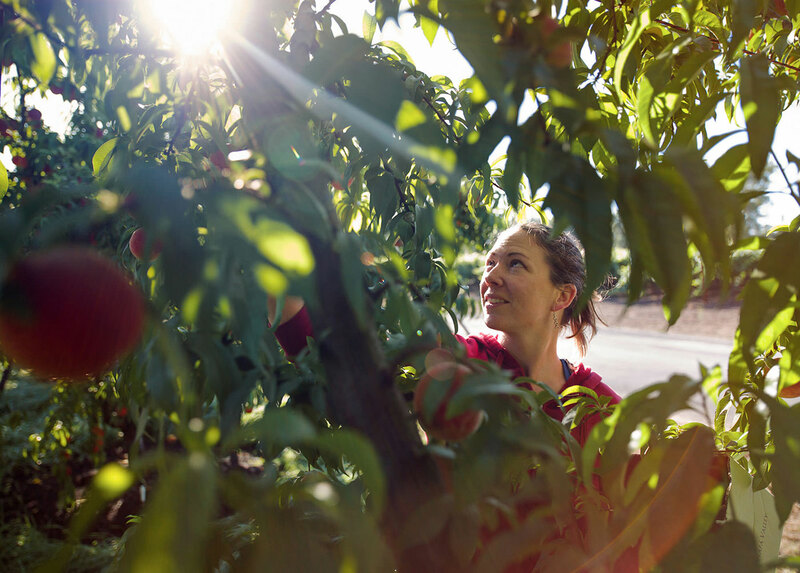 The peach harvest takes place over several weeks during summer months. 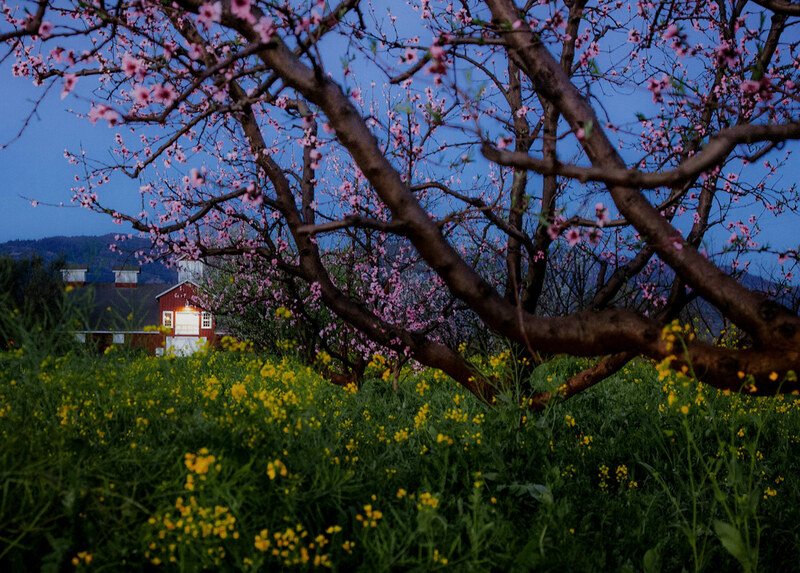 Stone fruit orchards are just one facet of the extensive organic gardens at both the winery and the Rossi Estate Vineyard. is evident in every glass. A freshly-budded Sauvignon Blanc vine begins its life at the hands of Fredy Corro. 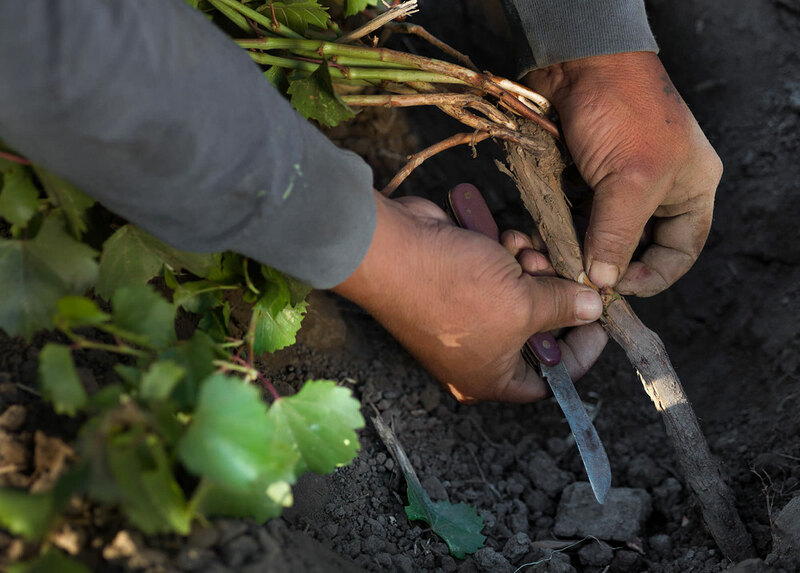 Fredy is one of the few people in California skilled enough to graft vines in the field, an essential part of our ability to farm grapes without irrigation. 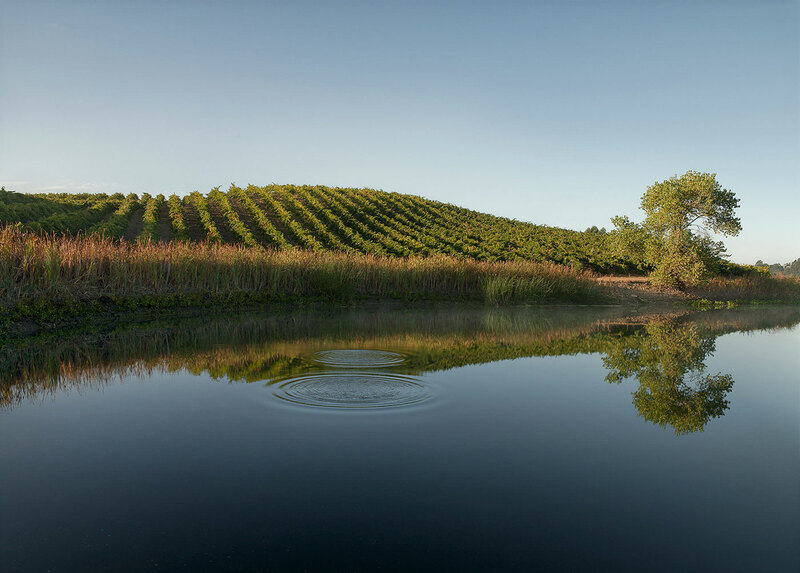 He learned from his uncle, Neftali, who budded the majority of Frog’s Leap’s vineyards. 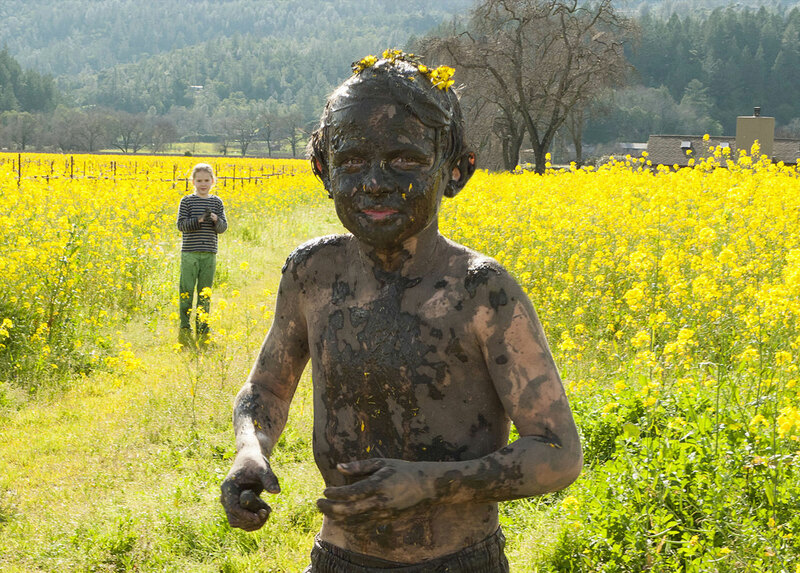 Spring antics in the mustard, a cover crop as beautiful as it is useful. 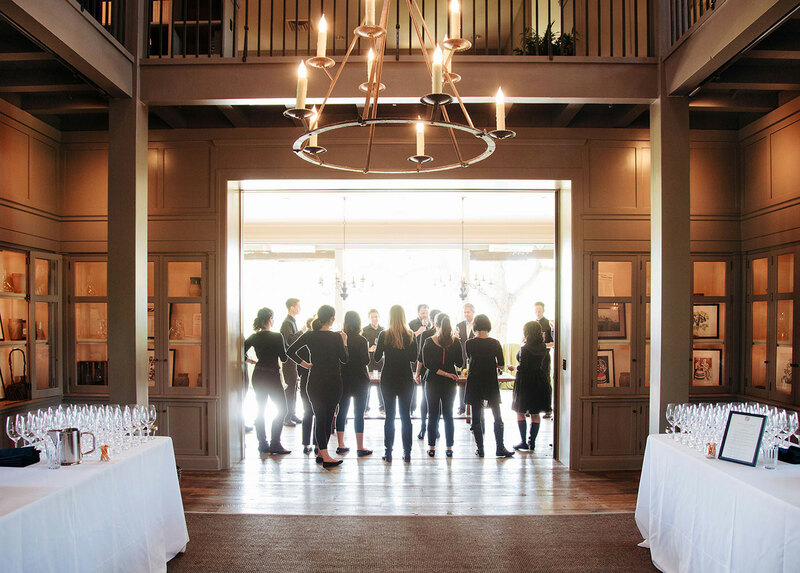 The foundations of high-quality winegrowing rest with the long-tenured members of our vineyard crew, who bring generations of knowledge and experience to the vines. 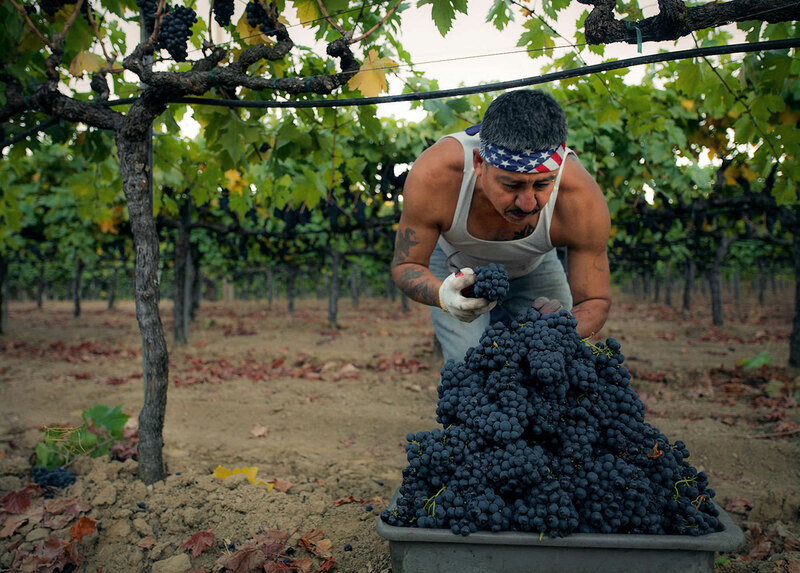 Martin Corro, our vineyard foreman, learned his from his father, Gilberto. 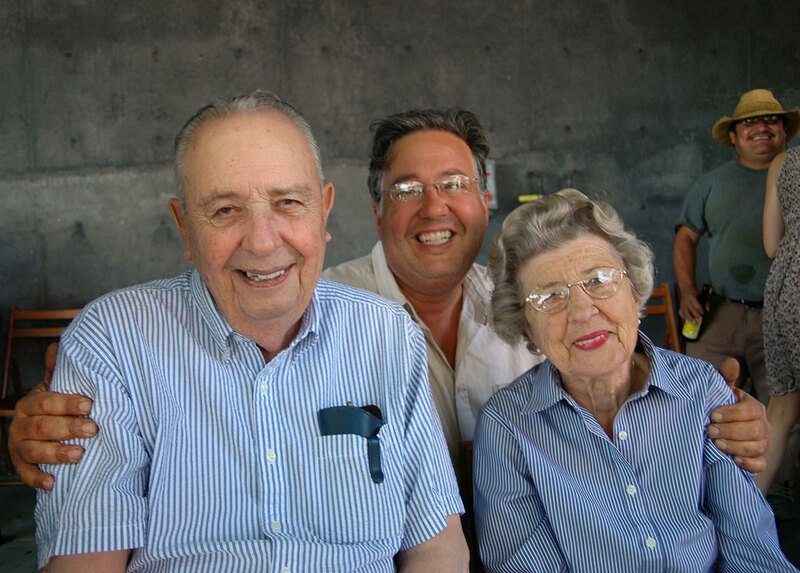 The Corro family has roots in the Napa Valley that date back to the 1940s. 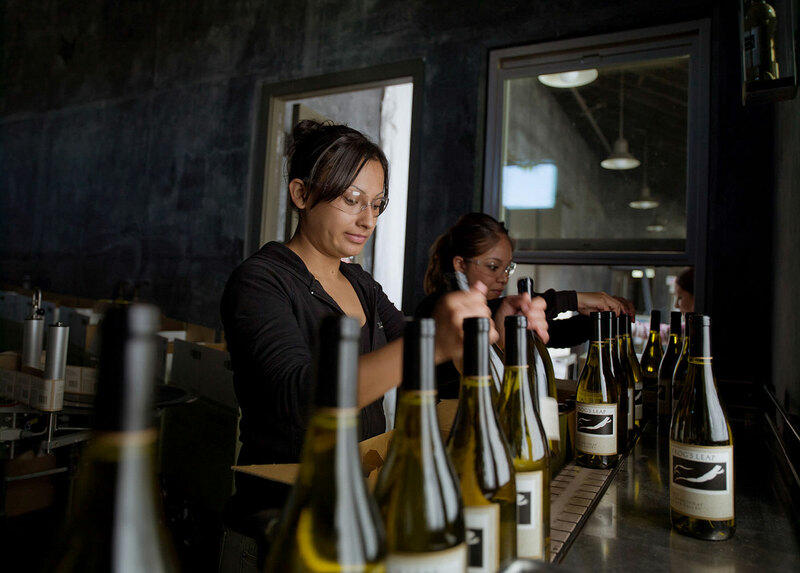 Bottling each varietal takes place over several days, and additional hands are required. Family and friends are often recruited to assist the cellar crew. 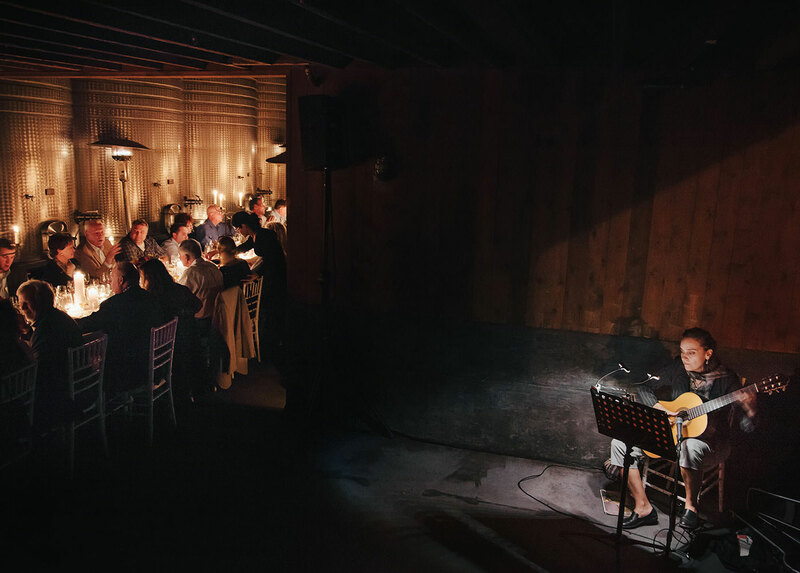 Seated amongst tanks filled with new wines, guests enjoy old wines, new friends and all the trappings of an intimate, elegant evening at the fourth annual Frogtoberfest. 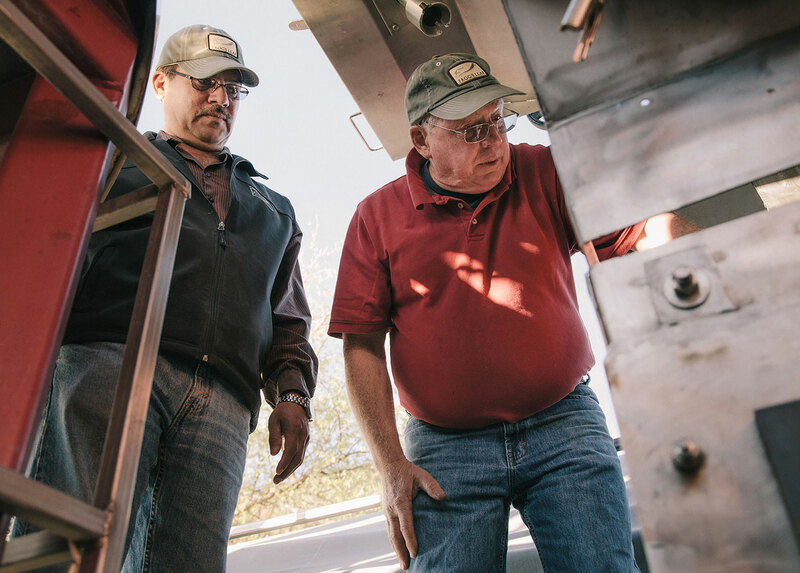 When spring frost threatens the emerging vines in March and April, giant fans are sometimes used to stir the air in the vineyards and keep temperatures above freezing until sunrise.